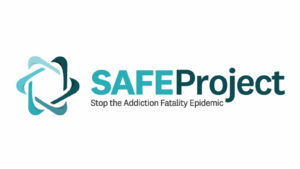 We have received a tremendous—and heartwarming response—to the rollout of our “Stop the Addiction Fatality Epidemic” initiative. Thanks to everyone who has looked through the website and who has responded to us. A number of you simply wanted to comment, others have offered an amazing array of help or ideas, and still others have asked for help. While we continue to ramp up our effort, we will do our best to answer you as soon as we can. We continue to gather resources (many thanks to those of you who have donated) and the right people to stand up this effort. We will soon begin pushing forward with our various lines of operations. Meanwhile, I want to emphasize that so much of the solution to this epidemic lies at the community level, and we are no exception. I was honored the other night to have the opportunity to speak to a local high school men’s lacrosse team and their parents. It was a terrific group. Those of you who have personal experience with this epidemic should consider doing the same—I can assure you it is therapeutic. Please keep those cards and letters coming. A key component of our success will be the “crowdsourcing” of ideas and effort that we hope to inspire. For those with personal experience, your lessons learned can be additive to ours. We will also be looking for state coordinators to help us build out our ability to track each state’s treatment capability, law enforcement and justice policies, prescription drug policies, prevention initiatives, and overall initiatives being undertaken by state legislatures. Thank you again. With your help, we are going to make a difference.